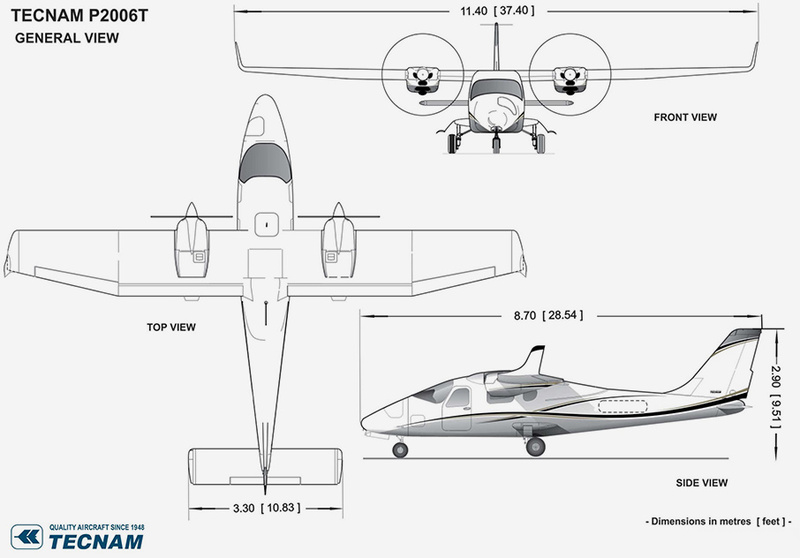 In March 2018, Coast Flight welcomes 2 Tecnam P2006T Twin aircraft to our fleet. These aircraft will allow us to offer more flight times and a quicker way to move through multi-engine ratings. Additionally, the Tecnam is ideal for flight training with the advanced Garmin G950 IFR avionics. These aircraft are fuel efficient and have upgraded avionics for ease and comfort. Start your multi-engine flight ratings today! 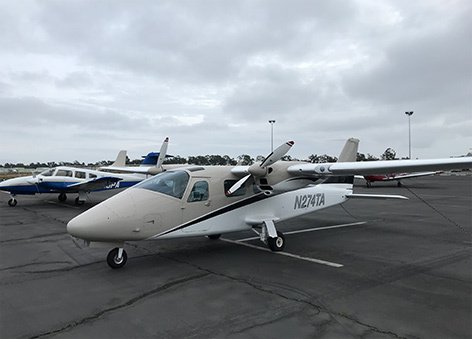 Equipped with four passenger seats and fully retractable landing gear, this high-winged aircraft has high quality cabin visibility and room for passengers and luggage. The aluminum aircraft is spacious and light, resulting in a high payload to total weight ratio. The fuel tanks are onboard the engines, and each hold 26.4 gallons of fuel. These aircraft come with upholstered seats and headrests with vertical adjustment capabilities to allow comfort for pilots and passengers of all sizes. There is one vent outlet per passenger (4 total), and both heating and defrost systems to keep the cabin that perfect temperature and avoid frost on the windows. These aircraft are ideal for general aviation airports and transportation as they use minimal fuel. 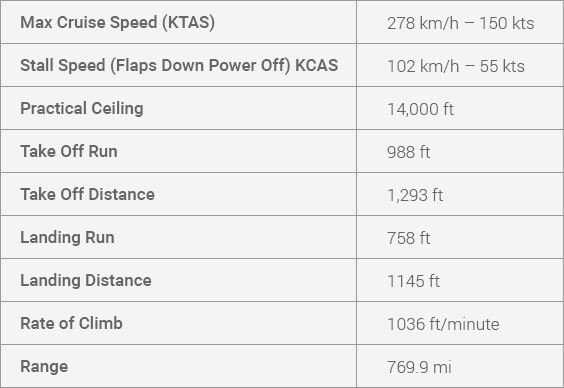 They can travel 669 NM at a time, and are great for VFR day and night flights, as well as IFR training. The have a max cruising speed of 150 KTAS and run best on Mogas and Avgas fuel, of which they only consume 9 gallons per hour. All two of the new aircraft are less than 5 years old and come with Garmin G950 IFR avionics upgrades. This upgraded system includes G950 Integrated Flight Deck System, GDU-1040 Primary Flight Display and Multi-Function Display, GDC-74A Air Data Computer with Oat Probe, and GRS-77 AHRS. It also comes with the GMU-44 Magnetometer, Digital Audio Panel with Marker Beacon Intercom, Mod S Transponder, and Back Up Instruments. These aircraft also have integrated control which is displayed on PFD. These new additions to the Coast Flight fleet are ready to take you to the sky. We have extended our booking capabilities and would love to get you scheduled for your first flight in a Tecnam P2006T today!